As of January 1st, I had officially finished 70 of the 100 City Sampler blocks from the book, 100 Modern Quilt Blocks by Tula Pink. Knowing that I had worked on these blocks in spurts for at least six months, I knew I wanted to finish them all and get the quilt top done! Finishing blocks 70-100 took about 3 days total. I picked out all the fabrics, cut everything out and then chained stitched like crazy! Now I had all 100 blocks complete. Yeah!!! All along I knew that I would be making the "City Planner" quilt layout that is included in the book, so I had to decide on the sashing solids. Why didn't I order these fabrics months ago? Who knows, that would have made so much more sense. So I got in touch with Hawthorne Threads, and the lovely Becky helped me with picking two gray fabrics that complimented each other and complimented the blocks, which were constructed out of the line Constellations by Lizzy House and a variety of blue solids. I ended up deciding on two solid (Silver and Charcoal) fabrics from Hawthorne Threads new line called Hawthorne Hues. They were perfect, and have such a beautiful hand to them, it really was a dream to work with these new solids. Oh and I bought these fabrics, so I'm totally not biased or anything, they really are nice. They ironed really well too. Just saying. Now it was time for construction. The City Planner layout uses all 100 blocks and makes a king size quilt. Oh my, what have I gotten myself into? So I started cutting, and sewing, and laying out blocks, and sewing some more. Goodness gracious! I included the below shot to show what it looked like when I was laying the blocks out on my living room floor. I started with the layout that Tula used in the book, then had to move around blocks according to the same fabrics or solids being next to one another. By the end I moved a lot of them, but the original layout concept is still there. Once I had finished all the rows, then it was time to add the sashing in between. I don't think I have ever sewn 104" seams before and needless to say it took way longer than I ever thought it would. It grew and grew and got big and heavy, oh my. Here it is, in all its finished glory! I will start with saying that I have been working on this steady for two weeks now, and everything in the world has been trying to stop me from finishing it. Originally my husband was going to keep the kids one weekend so I could finish, then that fell through. Then we had the crazy snow storm here in the South, and in total the kids missed four days of school. Talk about a freak occurrence, and then of course I had to go and get sick, like fever, all the cold symptoms...yuck. Needless to say that DayQuil has been my best friend as of late and the only reason this quilt was actually finished in time tolink up with the Sew Along over at Sew Sweetness. I also want to apologize for the poor quality of these photos, this quilt is really too big for me to wrestle by myself, and be it that I was working in a fevered stupor today, this was the best I could do. Laying it on the dry spot in the yard. Standing on my step stool, tip toeing, the photo below almost shows the whole thing, which measures 104" x 104." Though the colors look a bit dull in the photos, in real life it really is pretty, be it that the Constellations fabric line technically has no gray in it, the blocks really stand out from the background. All those shades of blue, both warm and cool, all in one harmonious mixture. There is a touch of yellow throughout, and bits of black and white and all those constellations and stars. This quilt is for my husband, using his favorite colors and will be for our bed. At one point he was helping me adjust a row (he isn't aware this quilt is for him) and said, "I really like this one, did you know it is my favorite color combinations of blues and black." I chuckled inside, because yes, I did know that. Now the test will be to see if he reads my blog! HA! At this moment, I do plan to quilt this one myself. I just ordered king size batting, and I bought 108" wide backing fabric (3 yards) so I wouldn't have to piece the back. I think I may try spray basting on this one, because the idea of pin basting it makes me want to cry. You can see my little "helper" below, who desperately wanted to be included in the photo shoot and didn't understand why I wouldn't lay down on it and let him take a photo of me, on the quilt. Nope, not today. Maybe when it is finished. Thanks to all who sponsored the quilt along, and a super big thanks to Tula Pink, who wrote an awesome book that didn't have any mistakes (or at least none that I found,) which is pretty impressive for a book based on measurements and numbers! It was a fun 8 months, I loved seeing all the other entries and all of the blocks posted to Flickr. Though the quilt along is over, you can make the blocks at any point, trust me, they really are rewarding and fun! Well I think it is time for another dose of medicine (NyQuil this time,) so I will sign out for now! P.S. I titled this post "Labor of Love" because just like when you first have a baby, you think, why would I ever do that again? Then time passes, you forget about all that hard work and you have another. Thus, this is how I feel with this huge quilt. I am hoping in time I forget how hard it was to wrestle this beast and will make another large quilt! But for now, nope won't be making another king size quilt anytime soon! Today is the official start of the One Block Wonder Quilt Along hosted by Quilter in the Closet. As you can see I got a little head start (I was too excited to wait!) This quilt along is based on one of three books by Maxine Rosenthal. You could purchase any of the three, so I decided to get the first one, One-Block Wonders - One Fabric, One Shape, One-of-a-Kind Quilts. This book covers all the basics of how to make a One Block Wonder quilt, thus I was able to get a head start. 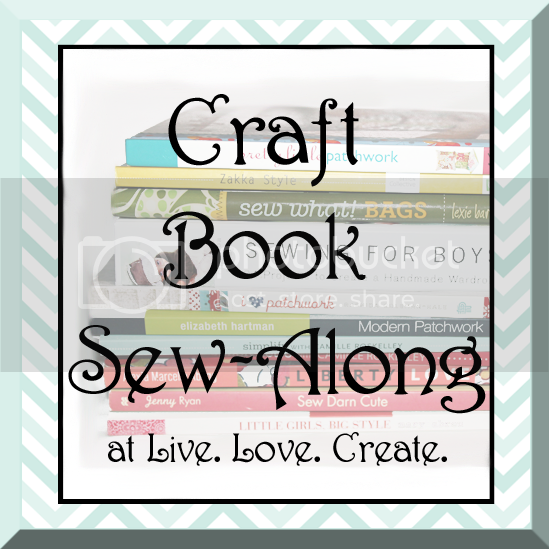 The book covers fabric selection, how to cut, sew, arrange and put together your quilt, all from one fabric, and just one block shape, though you do have the option to either make a hexagon or an octagon shaped block. I am going the hexagon route, especially since I already had a 60 degree triangle ruler. Be it that the official start of the quilt along is today, the host (Jen) has an interview with the book's author on her blog today, you can read that interview HERE. After quite a bit of deliberation, I chose this fabric (see above,) isn't it pretty? This fabric is by Valori Wells and is from her Cocoon line, this specific print is Liv in Sapphire, and since I am a September baby, I have always been partial to sapphires! The whole point of this type of quilt is based on your fabric choice, so you need to pick a large scale print that ideally has a 24" repeat. This one has a 24.5" repeat and the smallest foreground butterflies are in the 4" range. It also helps to pick a print that doesn't have too many colors. I felt this print was just right, and I love not only the print, but the colors, so I know I will love the finished quilt! This past weekend I took the time to precisely cut out the fabric, there is a specific way that Maxine teaches in the book of how to perfectly line up and cut your fabric, which was actually easier than I thought it would be. The fabric strip above is 6 layers stacked on top of each other and the print is perfectly lined up on top of one another. You can also see my brand new Olfa Splash Rotary Cutter, which I love. It really helped to have a brand new blade, especially since I was slicing through 6 layers of fabric. After the strips are cut, you then cut out the 60 degree triangles. I was able to cut out 19 triangles from each strip, thus making 19 blocks from each strip. I cut six strips, so by my calculations I should be able to make 114 blocks. After everything was cut I couldn't help myself and laid out the first five blocks! Eek....so cool! Look how they are transformed. I am beyond excited by this one, can't you tell! Since I had these five laid out, I HAD TO sew them together. So here are three of the five sewn top and bottom rows only, they are just pinned together in the middle, so there aren't any frustrating Y seams, you sew this quilt together in rows. I stopped at this point because I had to finish up some other WIPs, but as soon as I've wrapped up a few things, I will be working on this one, full force! Fancy to join along? Go check out the details, there is plenty of time to join in! I am at the point in which I start sharing my blocks out of order, just to be "caught up." Hope you don't mind, these are the blocks from last week and this week. My next post may be blocks from a few weeks ago, I just wanted to be in the present with these things! I have through block #70 done, just not the time to blog about them, so I'll probably never show off just three, but always six, this way if you have no interest in this sort of thing, don't read these posts! HA! These first three blocks, ughh...two of them made me pull out my hair. I am hoping they are the hardest of the book and that they are now behind me. Block #49 was simple enough, no complaints, though I will say that I did not enjoy this triangles chapter, just not very enjoyable and certainly more time consuming than all the other blocks made so far. So then we move onto block #50. The triangles were a breeze, but I unpicked those middle lines more than I care to admit, had puckers and ended with puckers. I gave up and just let it be. Then when I added the bottom and top rows, the middle section wasn't the right size, so they stick out, yuck, yuck, yuck. And yep, I'm leaving it. So I have one totally crap block in the quilt, oh well. Then there was block #51, below, this one wasn't as bad, but I'm not going to lie, those flying geese are wonky as heck. Stitched together it doesn't look so bad, but it is. Moving on. I do like my fabric choices for these blocks, so one positive. The next three, blocks #52 - 54 were pretty simple, I had no major problems and I have points on my triangles, so that is all that matters, right? I really like #54, one of my favorites for sure!